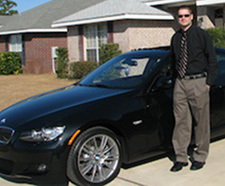 I got really tired of paying dealer prices for every little problem with my car and went on a search for a BMW specialist. I found Bills Bimmers a few years back and they have been fantastic. Thanks guys for keeping my car in great shape. Thanks for the quality work and fair pricing, my car and my bank account are both very glad to have met you all.